Have you tried it? I’ve been using it a lot lately and I really like it, I’ve tried their DK and their Aran and I really like them both, and they’re so easy to get a hold of. Women’s institute or WI is exclusive to Hobby craft so if you’re in the U.K. There’s none of that ordering online to get what you need. Now I know many people will compare WI to stylecraft special dk, I did, and I would definitely say that there is no difference. Ok stylecraft have 88 or possibly more colours which is fab, and on average they’re only £1.89 each, WI only have 33 colours, but they’re all the colours ive needed, they’re between £2.20 and £3.00 each for 100g but….. Hobby craft always have them on a 3 for 2 offer so they work out between £1.46 and £2.00 each, bargain, the majority of us in the U.K. Have access to a local hobby craft so they’re easily accessible and no waiting on postage, there’s nowt like dashing into your local hobbycraft at 19:55 because you’ve run out of what you need!! 3p from each ball of yarn will also go to WI which is a fabulous cause, they’re the largest voluntary women’s organisation in the uk with over 212,000 members, the WI plays a unique role in providing women with educational opportunities and the chance to build new skills. So not only do you get gorgeous squishy yarn but you’re also donating to a good cause. For those of you not in the U.K. Hobbycraft are now selling internationally so get trying!! There’s a link to your right ha! Interesting info – thanks! Love that green you have featured too. I have seen this yarn many times but never gotten round to buying it. Maybe i should give it a go! 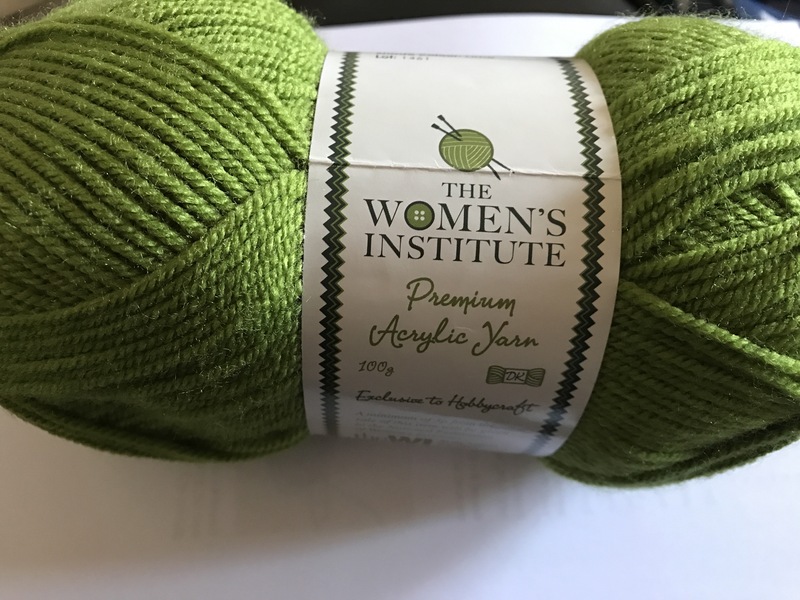 I have to say that I was really shocked to find that the WI didn’t bother to source yarn made in the U.K. I’m not supporting them until they do regardless of cost. I think it’s really sneaky. They sold it to Hobbycraft, apparently, because their members wouldn’t buy it! My source may have been wrong, but she does work for them …. Oh excellent! I love crafting that gives back to the world in some way. Plus I now have an excuse to go to Hobbycraft – perfect! Honestly their yarn selection is just getting better and better!